I'm Amanda Erickson, a Boston-based UI/UX Designer. Currently producing digital storytelling products in The Boston Globe newsroom. Previously a UI/UX Designer at Arcweb and an Information Architect at Vanguard. See below for some selections of my most recent work. To see more, please get in touch with me at americkson.me@gmail.com. 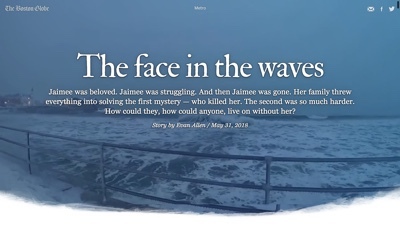 The face in the waves An emotional look into the life and murder of Jaimee Mendez. Boston. Racism. Image. Reality. 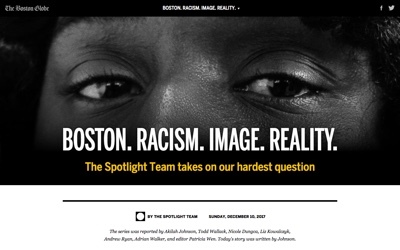 A seven-part Spotlight series exploring racism in Boston, which was a finalist for the Pulitzer Prize. 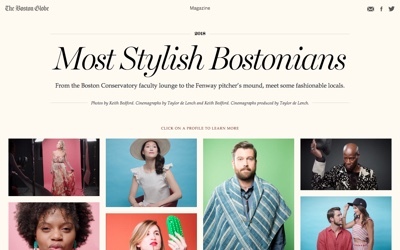 Most Stylish Bostonians 2018 A Globe Magazine feature profiling the Most Stylish Bostonians. 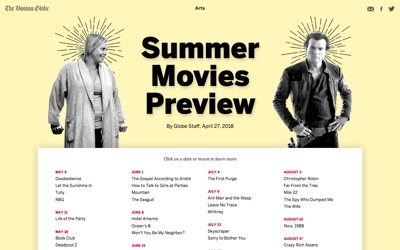 Summer Movies Preview the most anticipated movies this summer by date. 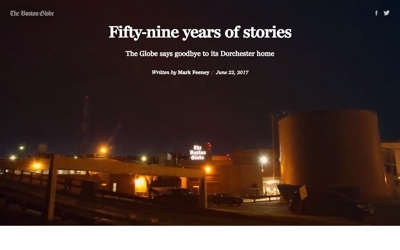 Fifty-nine years of stories A eulogy piece for The Boston Globe's former home on 135 Morrissey Blvd. 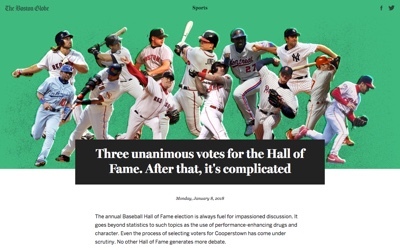 Baseball Hall of Fame The player votes chosen by the Globe's sports writers for the Baseball Hall of Fame. 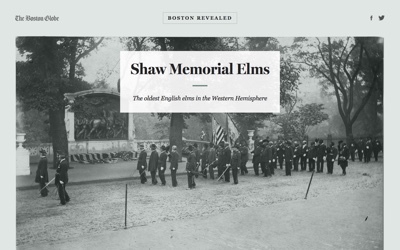 Shaw Memorial Elms Detailing the fascinating history of the lesser-known Shaw Elm trees in Boston Common. 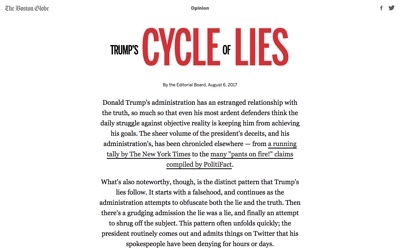 Cycle of Lies A look into a pattern of how President Trump lies, as told by the Globe Editorial Board. 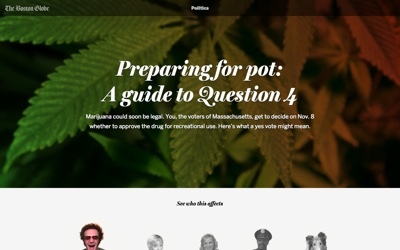 Question 4: Preparing for Pot A guide to Question 4 from the 2016 ballot, taking a closer look on how it would affect different personas. 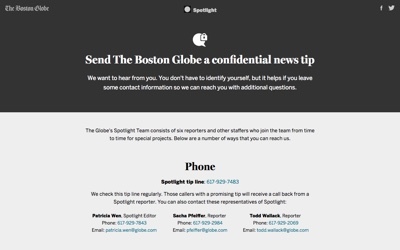 Spotlight Tips Page A page to contact the Spotlight team to submit an anonymous tip. 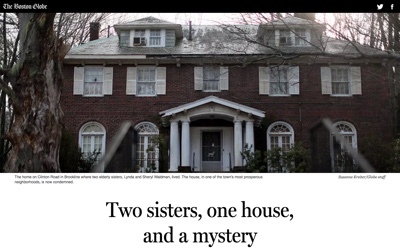 Big Article Template I designed a special article template for the Globe's CMS to showcase visually important stories. 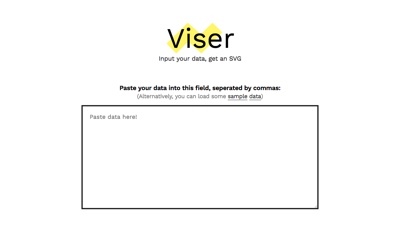 Viser A tool to getting graphs in SVG by simply pasting in the data.